NEW for 2012. 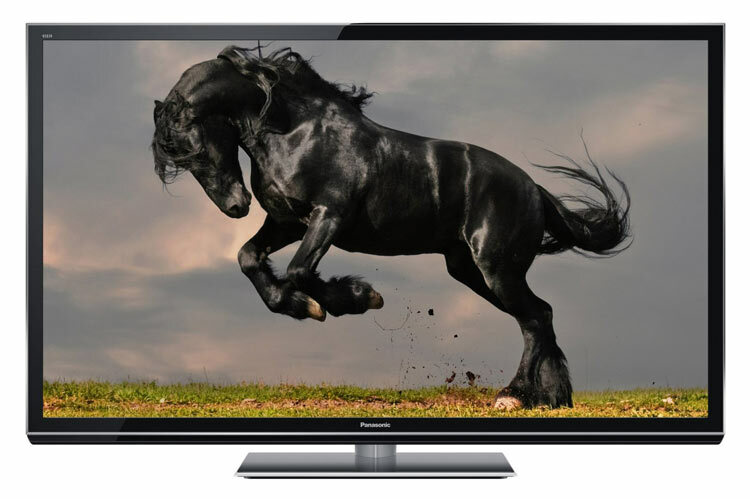 Panasonic’s new TC-P60GT50 3D Ready 60-Inch GT50 Series 1080p High-Definition Plasma HDTV. Glass and Metal Design. The GT50 Series is Panasonic’s high end Plasma TV with a THX 3D Certified Display for best cinema quality in either 2D or 3D viewing. This is Panasonic’s latest 3rd generation of 3D Ready TVs. 3D programming is now available on Blu-ray disc, DirectTV, ESPN, Comcast, Video Consoles, and other programming. The new infinite black pro panel with newly developed fast switching phosphors provides for minimal afterimages and displays deep blacks with minimal reflection for bright, vivid images. A new motion compensating technology (Neo Plasma Black 2500 FDD) renders faster-moving images with greater sharpness. Features 24p playback for watching motion pictures. The 1920 x 1080 pixel Full HD screen has double the pixels of a 720p TV. It shares the 16:9 aspect ratio similar to movie theater screens, providing a theater-like experience at home. The GT50 Series has a long life 100,000 hour panel. Included Viera Connect: makes it possible to stream multimedia content from the Internet directly into this HDTV. Internet Ready content includes: streaming movies, TV shows, music, photos, home video, Amazon Video on Demand, Netflix, Facebook, Twitter, YouTube, Hulu Plus, Skype, Sports and more. Set can use ethernet or use the Built-in WiFi adapter to connect to the internet. 600Hz Sub-field Drive for fast motion. The TC-P60GT50 has Four HDMI (1.4) and one component inputs. Integrated NTSC/ ATSC /QAM tuners. Three USB 2.0 ports and an SD card slot to view digital camera pictures and videos (H.264 AVCHD supported). DLNA CERTIFIED® to connect your home network. 3D Real Sound with 8-Train Speakers and Super Slim Subwoofer. eHELP User’s Manual is built right into the TV. Smart-Review Commentary: For 2012, Panasonic is the leader in 3D Ready Plasma TVs. The Viera GT50 series is at the top of the line and comes fully loaded with features. These include an infinite black pro panel and faster switching phosphors which produces great contrast, and will help in making a picture with great colors, with excellent shadow detail. The THX 3D Certified Display will show movies exactly as the director intended. The TV is DLNA compliant to allow you to use content from your PC and other devices on your TV. The TC-P60GT50 has an integrated SD card slot and USB ports with which you can show your photos or home videos in full HD on its large screen. The Viera Connect adds internet content to your TV, including Web Browsing, Netflix, Youtube, Skype, Facebook, HuluPlus and more. The set has a built-in WiFi adapter, so there is nothing extra to buy. With VIERA Remote App Support, you can control your TV with your smartphone or tablet. The remote control has illuminated keys, making it easier to operate in a darkened room. 3D glasses are required to see 3D content (sold separately). The Active Shutter 3D glasses use Bluetooth® 3.0 to communicate with your TV. We were impressed by the extremely high consumer & professional ratings on this TV. 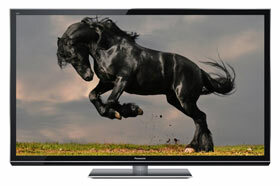 The Panasonic TC-P60GT50 is a very high quality Plasma TV which receives the Smart-Review Top Pick for 2012.